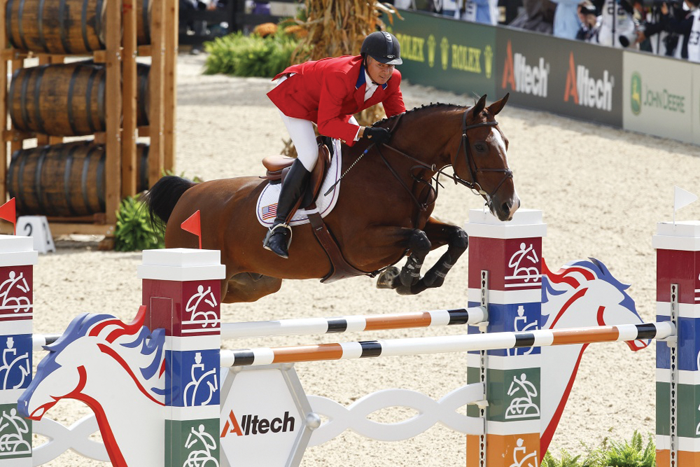 Kentucky One Step Closer to 2018 WEG Confirmation. Everyone Get Ready! The word came out late yesterday that the British Equestrian Federation (BEF) has withdrawn their bid for the 2018 FEI World Equestrian Games. I am not surprised as the BEF was making lots of stipulations on what they wanted changed about the Games in order for them to host and on the time schedule we now find ourselves, the FEI wasn’t in a position to change much. Ultimately I believe, Great Britain was the real competition we had for these Games. So now that the British are out of the hunt, that only leaves Kentucky, Wellington and Bromont going forward. Of course I still do not consider Wellington a viable choice because of the political situation in Wellington which is only a little less contentious then the Hatfield-McCoy Feud because nobody has died yet, though I am afraid with the amount of money involved that is only a matter of time. Bromont is at least politically more stable but the Canadians are still dealing with the hang over from the 76 Summer Olympics, namely that it took them 30 years to pay off the debt from them. I know there was some feeling among the Canadians that they needed to find a way to host these Games after everyone else had dropped out because they didn’t want to be blamed if the 2018 Games didn’t occur at all. I know many are going to say that wouldn’t be a possibility, trust me, that is more a realistic possibility then you would ever get anyone in official circles to admit publicly. Of course this all brings me to say what I have been saying since the last Games ended, that we could and would host the Games again. Ultimately I was certain before Britain withdrew that we would be hosting the 2018 Games, this is just one more event that brings us closer to that formal conclusion and announcement in the Spring. So I need everyone to start getting ready, as I have heard the complaints raised, to address those for the 2018 Games means you need to get involved and speak up early.